I run a society and we use a mobile application for each fourball to enter their scores, while playing, when we hold an event. 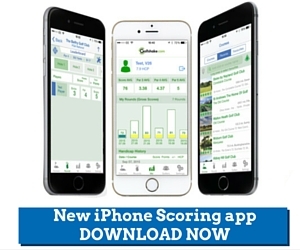 This app shows a running leaderboard and I am able to export the scores into an excel format. Does anyone know if it is possible to import these in to GolfShake rather than having to enter manually each score again? Our golf society is sadly a man down for our Ryder Cup style weekend for family reasons and we are hoping we might be able to fill that spot with a fellow golfshaker. golf on 22 and 23 October 2016 at Marriott St Pierre, Chepstow (27 holes Sat followed by 18 on Sun) accommodation on Fri 21 and Sat 22 October. Ryder Cup format, involving two teams of 12, playing matchplay golf Cost is £235 Attendees aged from late twenties to late thirties, great bunch of lads Let me know if interested and I can provide more details. THE CROWN GOLF SOCIETY WOULD LIKE TO INVITE NEW MEMBERS. EIGHT EVENTS PLUS OPTIONAL RYDER CUP & WEEKENDS AWAY. COURSES ARE GENERALLY WITHIN AN HOUR OR SO DRIVE FROM LEICESTER. A GREAT BUNCH OF LADS! GREAT FUN, GREAT BANTER. GREAT GOLF OPTIONAL. WHY NOT COME & JOIN US? New Season 2016 Why not come & join us? Unbelievable Jeff! The Crown Golf Society Anstey welcomes new members for the forthcoming season. Established for over Eight years we pride our selves in the banter & fun side of the beautiful game. Skill level not important, it helps a little! Optional away days in May & August. Prizes throughout the season & presentation to finalize. A great day out, playing a great game with the best company!